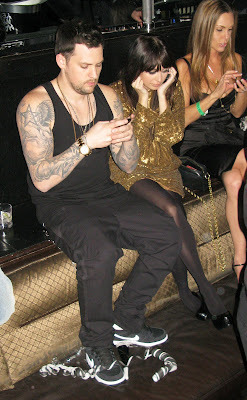 Here is even more pictures of Nicole Richie hosting a New Years Eve event at LAVO in Las Vegas. Click on images for high quality viewing. 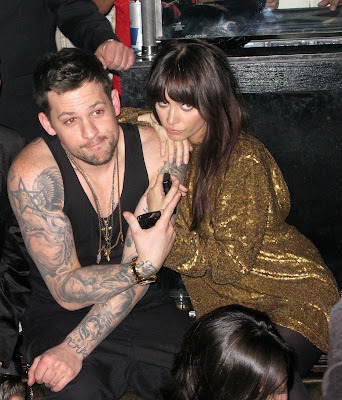 I have been told that Nicole Richie's stunning gold New Year's eve dress may be a custom made piece from her own clothing collection Winter Kate. 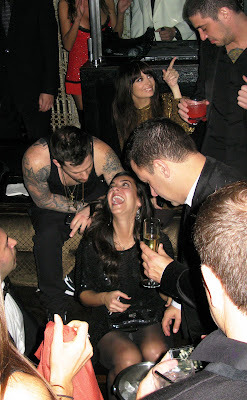 "With every year I always try and learn something new and grow gracefully, and that's just kind of my rule for every year," she said Thursday while hosting a party with boyfriend Joel Madden at Lavo in Las Vegas. As for how 2010 should shape up, "I have a lot of projects coming," she said. "I have my television project, I have my clothing line Winter Kate coming out, my shoe line coming out … so it's going to be a big work year for me." Winter Kate is set to launch in the spring. Regarding its look, "I just like to throw something on and have it be comfortable but have it look good at the same time. That was really what I was aiming for," says Richie. So her clothing line, she said, will be "loose and easy … I'm really inspired by the '60s and '70s, and pull inspiration from everything, from music to different people of the past. 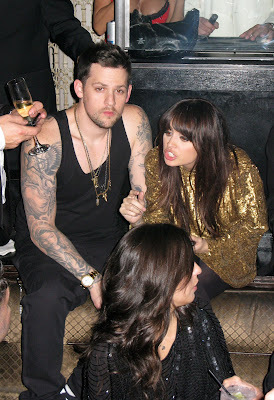 You're going to see a lot of peacock and leopard print and things like that." 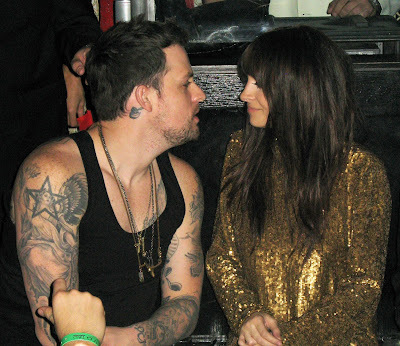 Joel Madden and Nicole Richie share a NYE kiss! Boo :( you don't have a picture of the kiss. Like the one they shared at the basketball game when they put the kiss cam on them. I wish someone had the video of this. Apparently Joel was so shy. LOL!